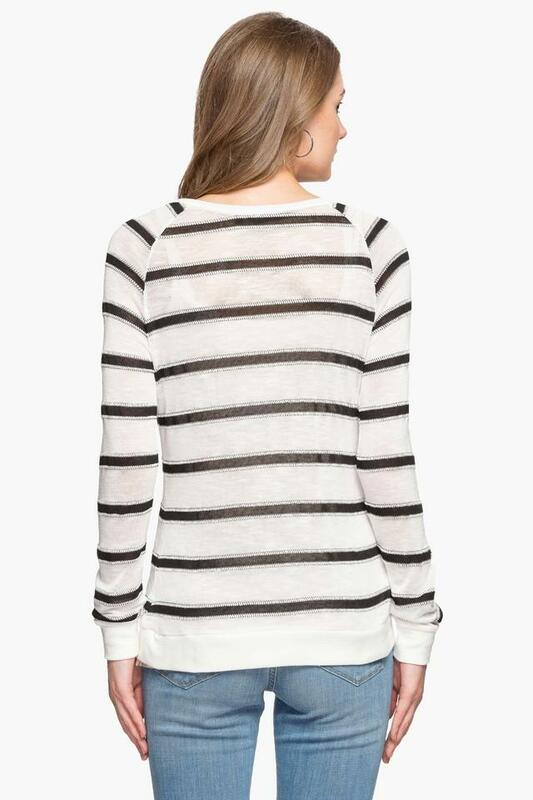 This thick striped top is elegance personified. Pair it with a pair of jeans and sneakers to get a chirpy look or tuck it in with a pair of trousers and heels to get that highbrow appeal. The fine textures of the product are a definite highlight. A thick-striped top by Elle. A classy monochrome style.